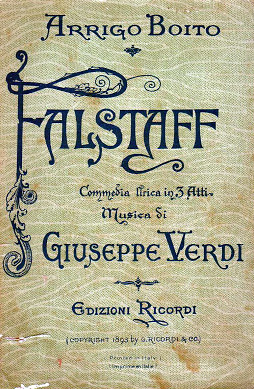 Falstaff is an Italian opera in three acts by Giuseppe Verdi, on a libretto by Arrigo Boito, based on William Shakespeare's The Merry Wives of Windsor. 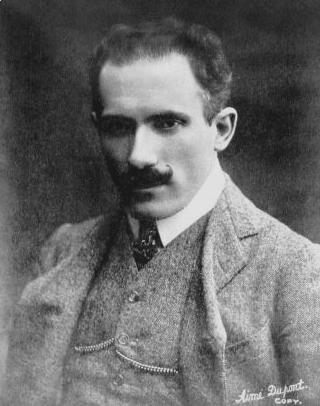 It was first performed in Milan, on February 9, 1893. Verdi's last opera and perhaps greatest masterpiece, composed when he was 80, and only his second comedy since his earlier attempt Un giorno di regno in 1840. When Verdi composed Falstaff he was not writing it for a commission. He was just writing it for his own pleasure, without a performance in mind. When he had finished it he felt that it would be his last work and that his life’s work had finished. It was almost true. It was indeed his last opera and his last big work. 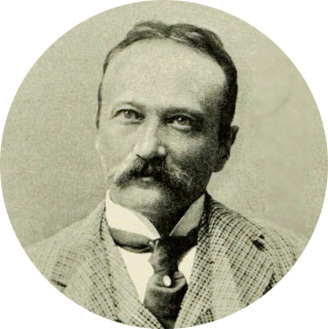 When composers turn plays into operas they usually have to make some changes in the drama to make it suitable to be sung. Verdi had already turned two other Shakespeare plays into opera: Otello and Macbeth. When he composed these he worked with librettists to create something as close to Shakespeare’s plays as possible, but when writing Falstaff he took more freedom. The character of Falstaff is very close to the way he is shown in Shakespeare’s Henry IV plays, rather than the Falstaff of The Merry Wives of Windsor. This takes place in the Garter Inn (Italian: Giarrettiera). Dr Caius, who is a rich man with servants, complains that Falstaff has beaten his servants and that Falstaff’s two friends Bardolfo and Pistola made him drunk and then stole his money. Falstaff laughs at him. He says he will never get drunk again unless he is in the company of good, religious people. Bardolfo and Pistola in the background sing “Amen” until Falstaff stops them, complaining that they sing out of tune. Falstaff complains that his bill for the drinks is very high. He says that his two friends drink so much that he won’t have enough to eat and he’ll get thin and then he cannot be his proper self. He says he is in love with two ladies: Mrs Ford and Mrs Page. He has written love letters to them both. He asks his two friends to take the letters to them, but they refuse. Falstaff is cross and gets a page boy to take them instead. Then he chases his friends with a broom. The next scene changes to the garden of Ford’s house. Four ladies are in the garden: Alice Ford and Meg Page and also Mistress Quickly and Anne Ford, the daughter of Mr and Mrs Ford. Verdi calls her “Nannetta”. The four of them look at the two letters that Alice and Meg have received and find they are exactly the same except for the address. They are amused and a bit annoyed, so they decide to tease Falstaff. Mr Ford is walking with Dr Caius, Fenton and Falstaff’s two friends. Fenton is a young man who is in love with Nannetta, but Ford does not want him to marry his daughter. Bardolfo and Pistola have deserted Falstaff. They tell Ford that Falstaff is in love with his wife. He is cross, of course, and plans revenge. The music of the four ladies and the music of the five men is sometimes heard separately, and sometimes it is combined. Fenton and Nannetta stay behind to kiss and they sing a love duet. When the men and ladies come back they each sing their own music again. This is a famous ensemble: the way Verdi has combined the two songs is very clever. Bardolfo and Pistola are back in the Garter Inn with Falstaff. They pretend they are very sorry to have deserted Falstaff. They tell him that there is an old woman outside who wants to speak to him. It is Mistress Quickly, who comes in and curtseys very low to Falstaff. She gives him the message that Alice would love to see him, but that Meg’s husband is guarding her and never leaves her by herself. He can see Alice when her husband is out between two and three o’ clock (Italian: Dalle due alle tre). Falstaff is pleased and gives Mistress Quickly a tip (some money) as she leaves. He sings to himself “Alice is mine” (“Alice è mia”). The next visitor Falstaff has is Ford. Falstaff does not know who he is. Ford says his name is Master Brook (Signor Fontana). He gives Falstaff a purse with silver and tells him that he is in love with Mistress Ford (Alice). He asks Falstaff to get her for him. Falstaff says he will be seeing her that very afternoon. Ford asks him whether he knows Alice’s husband (i.e. himself). Falstaff says he does and he describes to him what a terrible man Ford is. It is a very comic scene with a lot of very clever humour. When Falstaff goes out to change his clothes Ford shows his anger. When Falstaff returns the two men go out arm in arm like friends, arguing about who shall go through the door first. Back in Ford’s house the four women are getting ready to tease Falstaff. From the conversation we learn that Ford wants Nannette to marry Dr Caius who is a fussy old man. Nannette of course wants to marry young Fenton. When Falstaff comes Alice is playing the lute. He sings to her accompaniment. When Quickly says that Ford is coming they hide Falstaff behind a screen. Ford and his men start to search another part of the house, and the women hide Falstaff inside a big laundry basket with dirty clothes. Ford comes back, he hears the sound of kissing and thinks it is his wife with Falstaff, but he finds it is Nannetta and Fenton. Ford goes out furiously, and the women quickly throw the laundry basket out of the window into the river Thames below. When Ford comes back his wife takes him to the window and he sees Falstaff, who is very wet, getting out of the river. Falstaff is recovering in the Inn. He is very grumpy, although he starts to cheer up when wine is brought. Mistress Quickly comes in and says he can meet Alice, but Falstaff is not really in a mood for this. In the end Quickly manages to persuade him to meet Alice at Herne the Hunter’s Oak in Windsor forest. There is a legend about a black hunter who hanged himself from this tree, and so the spot is haunted by witches and sprites. Falstaff is told he must disguise himself as the black hunter. The men and women sing an ensemble in which they describe the plot they have made to tease Falstaff. Ford also plots to announce that Caius will marry Nannette. The last scene takes place at night under Herne’s Oak. The moon shines. Fenton sings an aria. Falstaff appears in his disguise, wearing a pair of antlers on his head and wrapped in a big cloak. Midnight strikes. For a moment he is alone with Alice, but then she leaves him by himself. Nannetta is disguised as the Queen of Fairies. She and her friends sing beautiful music. Falstaff has hidden his face in his cloak, but everyone goes to him and torments him. When people take off their masks Falstaff feels really stupid, although he tries to say that his wittiness helped the joke. Ford announces that Nannetta will marry Caius. Alice leads another couple to him and he announces that they too will marry. When they take off their masks he finds that Bardolfo was disguised as Nannetta, so he will marry Caius! The other couple were Fenton and Nannetta in disguise. Now it is Ford who looks stupid, and Falstaff takes the opportunity to tease him. They finish by singing “Tutto nel mondo è burla. L’uom è nato burlone” (“Joking is man’s vocation. Wise is he who is jolly”). The music is a fugue, which is usually thought of as being a serious academic form, but the mood here is jolly. Engraving by Ettore Tito of act 2, scene 2, from the original production. Ford and the servants creep towards Fenton and Nannetta, who they think are Falstaff and Alice, behind the screen, while the women stifle Falstaff in the laundry basket. Falstaff (opera) Facts for Kids. Kiddle Encyclopedia.